Gov. Ige wrote that an estimated $3.3 million is needed to protect residents. President Donald Trump declared a major disaster in Hawaii following a request by the state's governor due to the volcanic activity continuing to wreak havoc on the island. The order will make federal funding available to supplement state and local recovery efforts in the regions affected by Kilauea's eruption May 3. "Federal funding is available to the State and to eligible local governments and certain private nonprofit organizations on a cost-sharing basis for emergency work and the repair or replacement of facilities damaged by Kilauea volcanic eruption and earthquakes in Hawaii County," the government said in a statement late Friday. 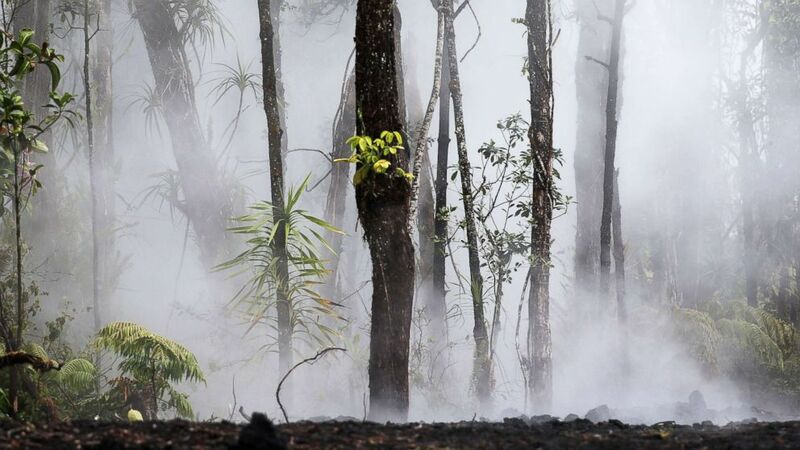 (Mario Tama/Getty Images) Steam and gas rise in Leilani Estates in the aftermath of the Kilauea volcano eruption on Hawaii's Big Island, May 10, 2018, in Pahoa, Hawaii. In a letter dated Wednesday, Gov. David Ige had asked Trump to formally declare the state a "major disaster." Ige estimates that the costs to protect residents could exceed $2.9 million over the next month. "As more fissures open and toxic gas exposure increases, the potential of a larger scale evacuation increases. A mass evacuation of the lower Puna District would be beyond current county and state capabilities, and would quickly overwhelm our collective resources," Ige said in a statement announcing his request. "Federal assistance would be necessary to enable us to successfully conduct such large-scale operations," Ige added. Ige wrote that millions of dollars are currently needed to protect residents who have been threatened by "lava intrusion and the accompanying earthquakes and gas emissions." Additional funds are needed to address the permanent damage the volcanic activity and earthquakes have caused, he added. Ige's request came the same day that the Hawaiian Volcano Observatory released a warning stating that the current conditions near and in the Kilauea volcano could provoke further explosions. The lowering of the lava lake at the volcano "has raised the potential for explosive eruptions in the coming weeks," the agency said in its statement. 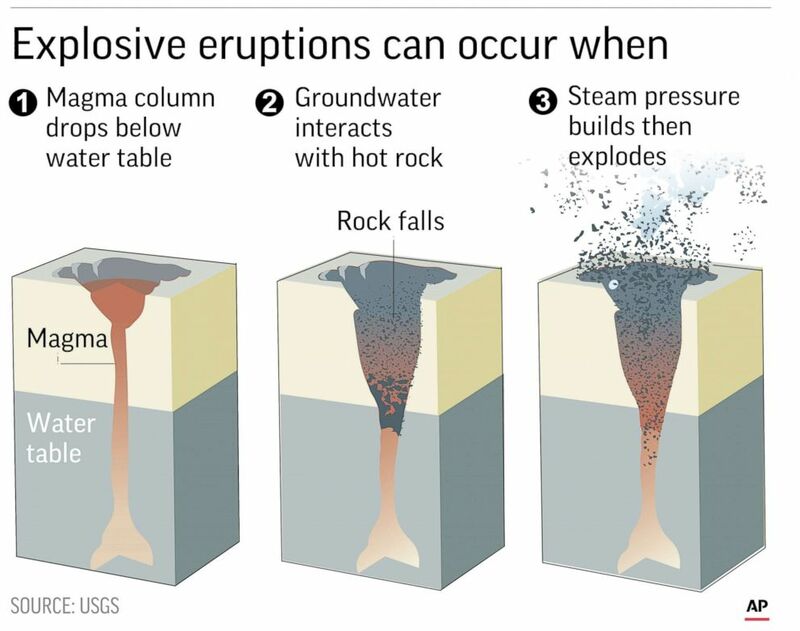 (AP) Diagram explains explosive eruptions of volcanoes. The latest update from the Hawaii County Civil Defense Agency notes that there was "no volcanic activity" as of Thursday night. No new fissures have emerged, leaving the total number at 15, authorities said. A total of 36 structures have been destroyed so far, authorities said.